1996 Armory Street Redevelopment Project / City of Englewood, New Jersey. 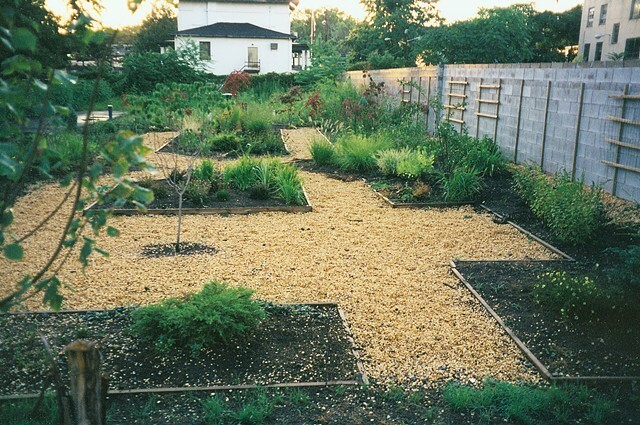 With community residents and volunteers, designed, constructed and planted a garden consisting of paths forming the letter X, a house shape and planting beds containing native ornamental shrubs, perennials and grasses. The building lot had been the site of a chopshop which was condemned and torn down leaving only contaminated soil. The garden was paved over for parking in 2005.